When Flipper debuted in the fall of 1964, it became an immediate hit with boys and animal lovers—which are often the same thing. It was every boy’s fantasy: 15-year-old Sandy (Luke Halpin) and 10-year-old Bud (Tommy Norden) lived with their widowed father, Porter Ricks (Brian Kelly), in a cottage right on a lagoon that was part of the Coral Key Park and Marine Preserve in the Florida Keys that their dad patrolled. As the park’s lone ranger he was responsible for protecting the environment, looking after the welfare of the sea creatures, and also monitoring any scuba divers, snorkelers, or boat enthusiasts that visited the park. The boys helped their father some of the time, but mostly struck out on their own. 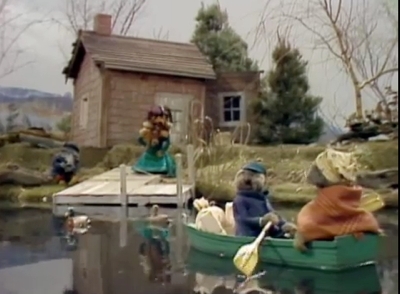 It was like a permanent summer vacation, where Sandy and Bud could take the skiff out any time they wanted and go diving or snorkeling to their heart’s content. Often they were accompanied by Flipper, a wild dolphin that took a shine to Bud (who can communicate with it) and hangs around the boys of his own volition. Good thing, because he’s needed to come to the rescue in just about every episode. 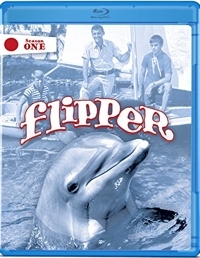 In a way, Flipper is a marine version of that earlier iconic ‘50s show Lassie. What’s that, Lassie? Timmy’s trapped in the well? Only here, Flipper tries to communicate that Bud is trapped inside a sea cave, or Sandy and another boy are trapped inside a sunken wreck, or one of them is being held captive in a boat by a poacher or treasure hunter or other nogoodnik. But while Flipper is just as wholesome as Lassie and seems to have one foot in those innocent ‘50s, it’s a whole lot more entertaining. I’ve asked this before but it bears repeating: why are wholesome religious family films so often sabotaged by a weak script and less-than-stellar acting? It’s happened again with A Cowgirl’s Story, a 2017 manipulate-you-to-feel-good movie starring Bailee Madison (Brothers, TV’s Good Witch). Madison, who co-produced the film, is saddled with a script that’s by turns corny, wooden, and cliché-ridden. 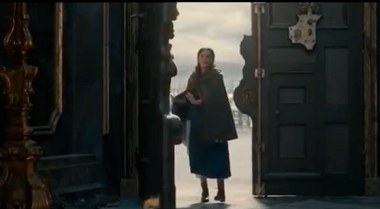 And on top of all that, this message film doesn’t trust the audience enough to attempt some measure of subtlety. Then again, the audience for the film—God-fearing, military-supporting, small-town America—might be forgiving enough to overlook the many flaws. Victorian-age literature is full of orphans. Dickens’ gave us David Copperfield, Pip, and Oliver Twist; Twain created Tom Sawyer and Huck Finn; L. Frank Baum introduced readers to Dorothy in his Oz books; and Rudyard Kipling wrote about Kim and Mowgli. But the literary orphan who lived the most satisfying life was probably Swiss writer Johanna Spyri’s character, Heidi. Since 1937, when Shirley Temple played the little Swiss orphan who bounces from place to place in picturesque Switzerland and Germany, there have been more than 20 different film and TV adaptations. But no one captures the spirit of the original 1881 children’s novel better than director Alain Gsponer and his team of German and Swiss filmmakers. 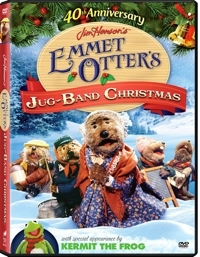 Shot on location in Germany and the Swiss Alps, this most recent and faithful adaptation—available exclusively at Walmart—does the most spectacular job of exploiting the scenery and Heidi’s natural capacity for unbridled joy. With a feel-good default that tends to rub off on most of the people around her, Heidi is a bit like a later American orphan made famous because of the Disney film by the same name: Pollyanna. But instead of playing a “glad game,” it’s Heidi’s positive attitude, helpful nature, and ever-present smile that win her friends. Then again, when your journey goes from living a rather idyllic existence in the Alps with your goatherd grandfather, then boarding with a rich German family in Frankfurt in order to keep their invalid daughter company, and finally back again to be reunited with Grandpa, it’s easier to stay positive than if you’re Dickens’ heroes slogging it out in the dirty and dangerous disease-filled streets of London. The Alpine scenes in this StudioCanal film are a feast for the eyes, and Heidi is family-friendly with just one disclaimer: the film was made in German with English subtitles, so you have to do a bit of reading or else watch in dubbed English. 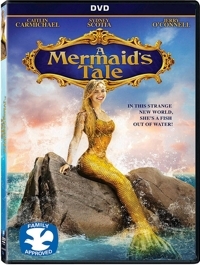 That might not prove to be too big of a negative, since younger children accustomed to partially animated cartoons probably won’t be bothered by words and lips slightly out-of-synch, and children old enough to read well may find this version of Heidi the perfect first subtitled movie to tackle. It’s an easy-paced film with mostly short exchanges rather than long monologues, and none of the characters talks very rapidly. 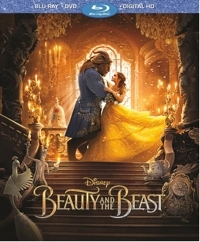 Decades from now, film historians may refer to 2016 as a milestone year for Disney—the year the studio entered a new age in producing live-action/animated fantasy adventures, with The Jungle Book coming out in April, The BFG premiering in July, and Pete’s Dragon debuting in August. All three films are impressive for kicking it up a notch in creating convincingly realistic CGI creatures that seamlessly interact with actors in real-life settings. But the films aren’t equally successful. The runaway leader of the pack was the remake of the 1967 Kipling adaptation of Mowgli’s adventures, with the remake of the 1977 live-action/animation musical-comedy featuring Elliot the dragon close behind. 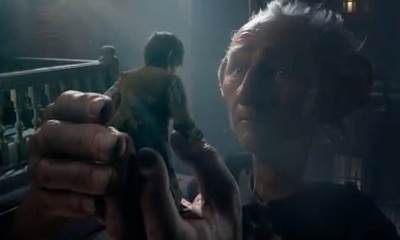 Less successful is The BFG, which producer-director Steven Spielberg adapted from the Roald Dahl book. Spielberg and screenwriter Melissa Mathison (E.T.) 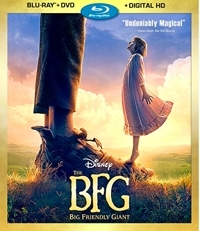 chose to stay reasonably close to the structure of the original book, trusting that the special effects and the magical world described by Dahl and rendered by them would be enough to sustain audiences. And it is . . . until a talky first act with a giant dose of giant gibberish starts to get a little old. Interest picks up mid-way when the giant and child companion offer to help the Queen solve Britain’s disappearing children problem, but a third act pushes toward a tidy fabulist ending that almost feels anticlimactic. In other words, E.T. it’s not.